A gorgeous 48 page lined book with detail on each page. 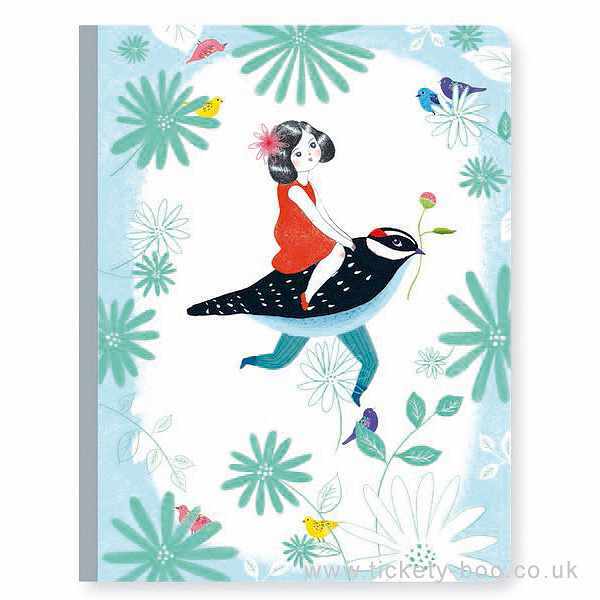 Children will adore writing their journal or thoughts in this beautiful book. The cover features an illustration with metallic effect of a girl riding a bird.